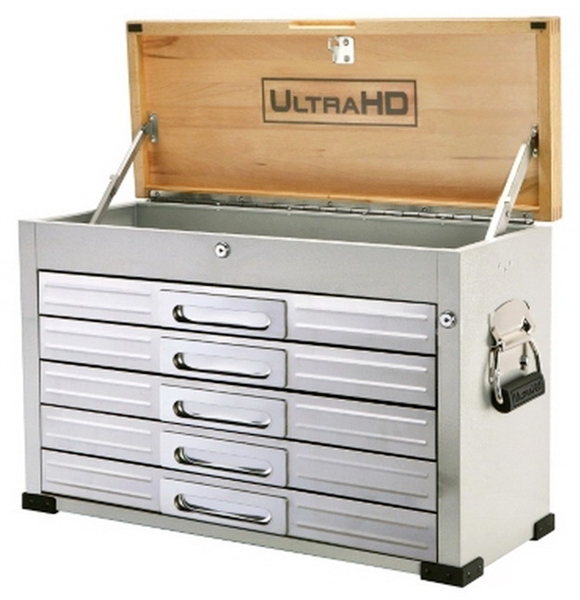 This heavy-duty powder coated steel tool box comes with 5 Stainless Steel Front, cushioned lined sliding drawers with a key lock. 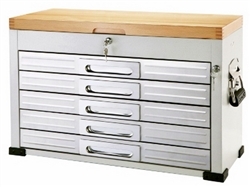 It has a Hardwood flip-open top with key lock and two heavy duty side carrying handles. The box frame is powder coated steel, Grey as shown in photos, only the drawer fronts are Stainless Steel. 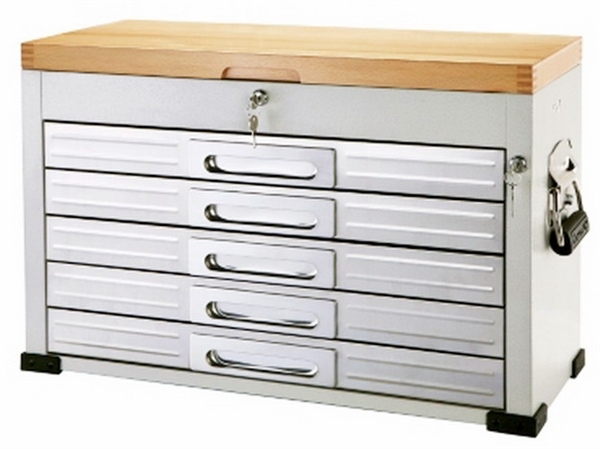 Top and drawers lock separately. Comes Mostly Assembled! Each drawer is approximately 3" deep.